Idaho State Representative Michele Buecler hosted an informal IAP2 social on April 2 in conjunction with an IAP2 training in Boise, Idaho. Intermountain Chapter President Andrea Gumm and chapter Treasurer Wendy Green-Lowe attended. Do you know P2 practitioners in Utah, Idaho, Wyoming, Nevada or Montana? Invite them to join IAP2 USA today! Thursday, April 23, 12:30-1:30 p.m.
Login to GoToMeeting to participate. So often we focus on our areas of weakness in an effort to improve ourselves and move forward. The StrengthsFinder ® program challenges that approach by teaching us to focus all our energies on our natural strengths instead. This webinar aims to familiarize all attendees with the StrengthsFinder® program and its potential to build a company’s most powerful resource – its people. We will discuss the research behind it, the assessment tools, and possible applications for yourself and employees you may work with in other organizations. If you have taken the StrengthsFinder® Assessment in the past, bring your top five strengths results with you. If not, you may want to take the assessment, though it is definitely not required to learn about the program. Go to www.gallupstrengthscenter.com and select the ‘Purchase’ button in the Clifton StrengthsFinder® box. For $9.99, you can take the assessment and receive a report of your top five. Sydne Jacques (Jacques & Associates) will host this Brown Bag presentation on Thursday, April 23 from 12:30-1:30 p.m. MST. Login to GoToMeeting to participate. Please RSVP to Sydne Jacques at sydne@ja-today.com. An essential component of any industry is to learn and integrate new ways to meet client needs. Teachers receive additional training throughout their career to explore new ways to engage students. Nurses obtain certifications beyond college graduation in order to better serve their patients and provide reliable care. The public participation industry is no different. The Langdon Group values the opportunity to send its practitioners to trainings and conferences to stay current with the evolving industry, find new ways to engage the public, and gain more experience with participation, facilitation, and mediation techniques. These opportunities often go hand-in-hand with the organizations that TLG supports. One organization that TLG is involved in is the International Association for Public Participation (IAP2). Jennifer Fowler and Andrea Gumm are currently the Utah and Idaho state representatives for the regional IAP2 chapter. 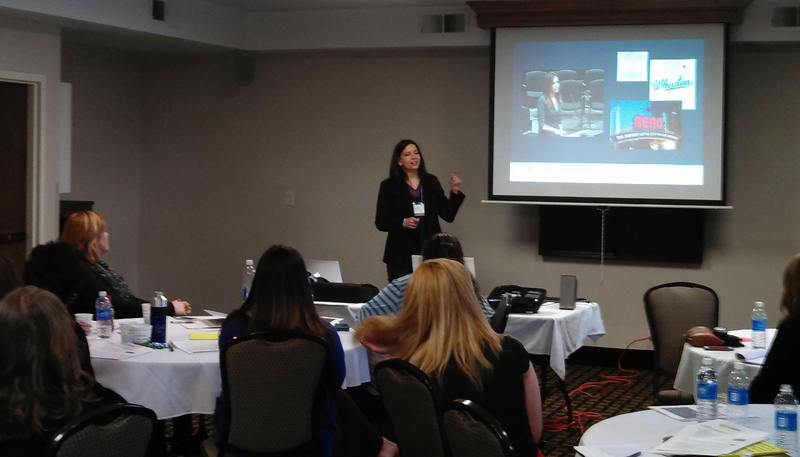 Jennifer recently helped organize and attend a regional conference in St. George, Utah. Following the success of the 2013 IAP2 North American Conference that was held last September in Salt Lake City, the Intermountain Chapter wanted to continue the momentum. On March 28, the Intermountain Chapter hosted a one day conference in St. George, Utah, for practitioners in the region to explore one fundamental technique of public participation: the public meeting. The topic of the conference was “Re-Imagining the Public Meeting.” The Intermountain Chapter conference focused on discussing ways to get the public to engage and ways that practitioners can provide a more convenient and enriched open house experience for all stakeholders. Jessica Pickul from JLA Public Involvement, based out of Portland, Oregon, presented information about online engagement and non-traditional participation approaches that can improve the quality of public meetings. Timothy Tait from the Arizona Department of Transportation discussed leadership behaviors that improve public involvement programs. Kristy Dalton shared insights on how to successfully use new technologies and social media to energize public participation. The conference concluded with a discussion circle that allowed attendees to open up a dialogue about the difficulties, accomplishments and future of the public meeting. The IAP2 Intermountain Chapter would like to thank the speakers and attendees for helping make the conference a success. The conference helped reiterate that the opportunity to come together and discuss public engagement continues to be a valuable experience for the practitioners in the Intermountain Chapter. Come join us and enjoy an evening of food, fun games, fabulous prizes and great networking opportunities! Your registration cost covers all of the above, plus one drink! We look forward to seeing all of you there. If there are new people who you think might benefit from becoming members of IAP2, please forward this along to them. Please see the flyer (PDF) for details, or register online. Also, please note this special offer: if you renew your IAP2 USA membership at the event, your admission is free! And don’t forget our ongoing special rate of $99 for new members.